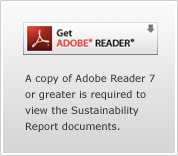 Adobe PDF files are available for the entire report or for individual sections of interest. If you are using Internet Explorer (PC) or Safari (Mac), clicking on the links will open the PDF within your Web browser. If you prefer to download a copy, simply right-click (PC) or control-click (Mac) to save a copy to your computer.